Tuesday was an enjoyable day for our owners involved in the David O’Meara yard as they enjoyed an open morning at Willow Farm. 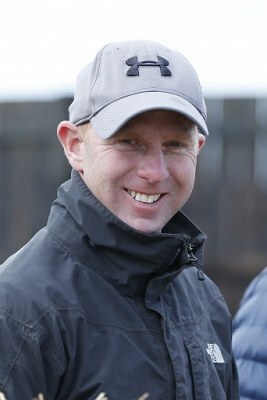 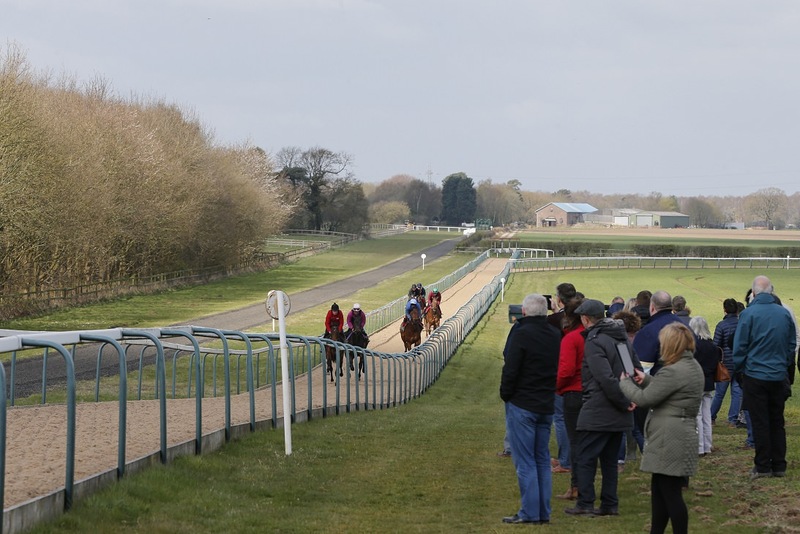 Of course, Hambleton’s owners are welcome to visit the David’s excellent facilities whenever they like for private stable visits but Tuesday represented a chance for owners across all syndicates to join us at the yard for a fun, informal morning. The day began in the heart of David’s yard with luxury coffees and muffins courtesy of our regular provider Rosie, who was as busy as ever ensuring owners were well catered for. 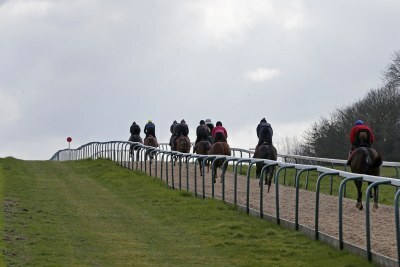 Owners enjoyed lattes, americanos and hot chocolates whilst watching David’s team prepare the horses for action on the gallops. 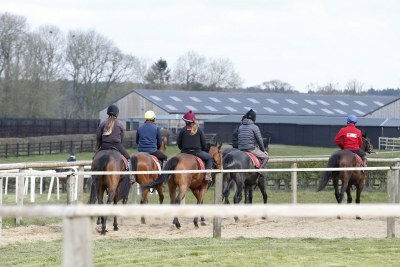 On a bright spring morning, there was plenty for owners to look forward to and discuss with three of the team set to be in action later this month. 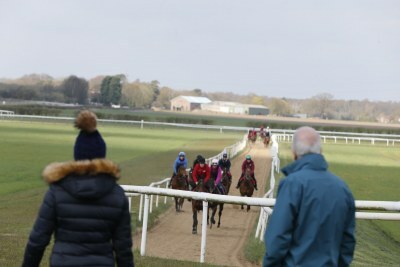 Once the horses were mounted, owners followed them out to the walking ring where the horses gathered ahead of taking to the gallops. 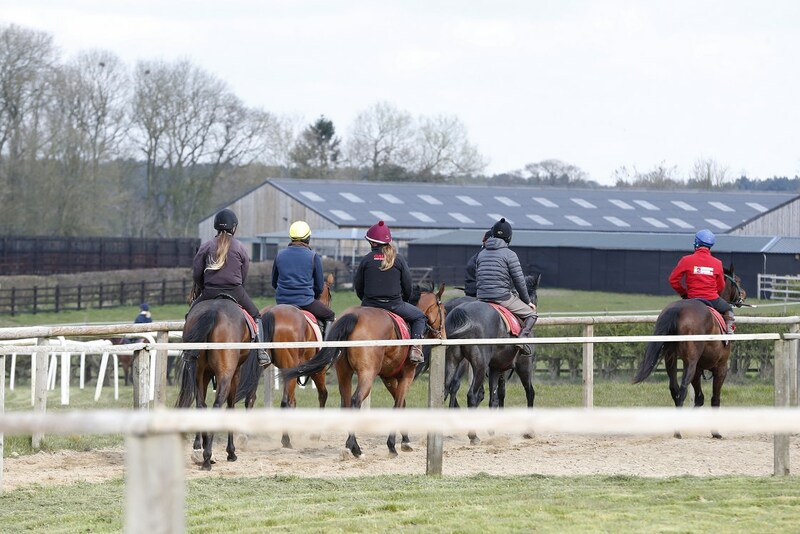 Both David’s round gallop and uphill gallop were in action so there so plenty of varied action to observe whilst also getting a better insight into how David utilises his excellent facilities. 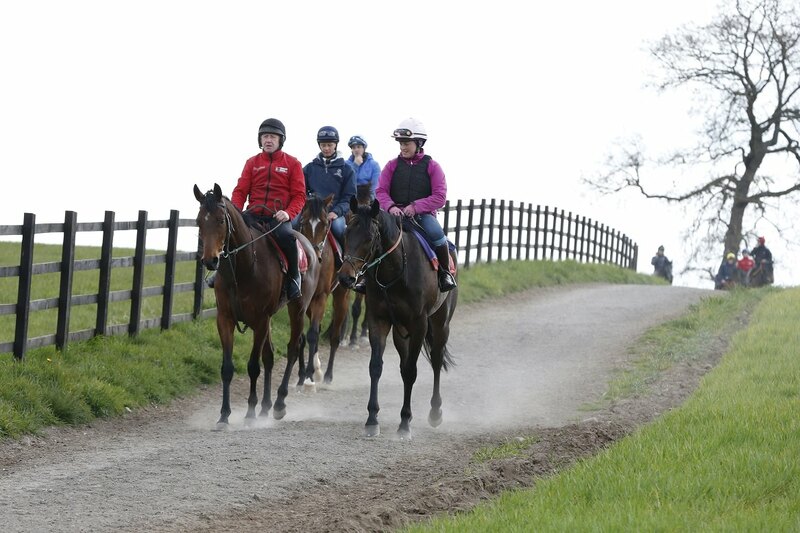 The equine squad looked in great form as they completed two canters up David’s hill gallop as phones and cameras captured the action. After the gallops and a relaxed walk back into the yard, David arranged for the horses to come and get a pick of grass in front of the owners after their wash off ahead of their upcoming photo shoot. 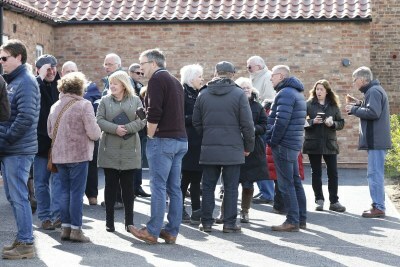 On hand to get the pictures was Hambleton’s excellent official photographer, Louise Pollard who captured the moment as owners got the chance to meet their horses up close and personal. 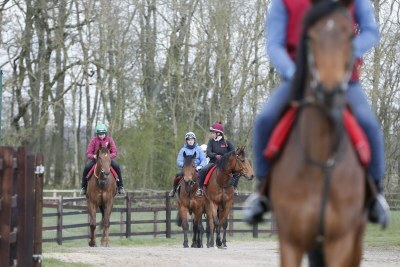 The horses all looked in great nick but the star of the show was undeniably Spiorad. Not only did he look the part on the gallops but the son of Invincible Spirit showed why he’s such a yard favourite by willingly accepting the affection of his growing fan club. 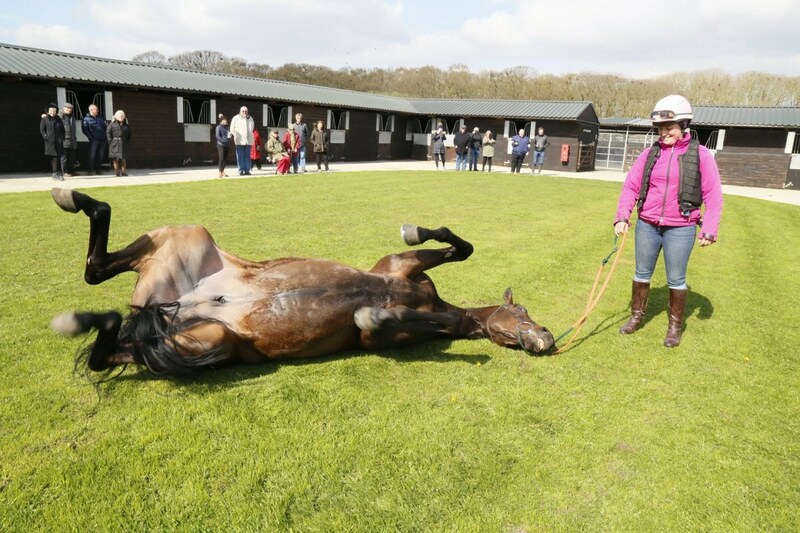 After proving himself the perfect gentleman, Spiorad proceeded to take a pick of grass and have a good roll to emphasise just how relaxed and happy he is with life since arriving at Willow Farm. After the morning activities owners relocated to the nearby Three Cups for complimentary lunch with the Hambleton team. 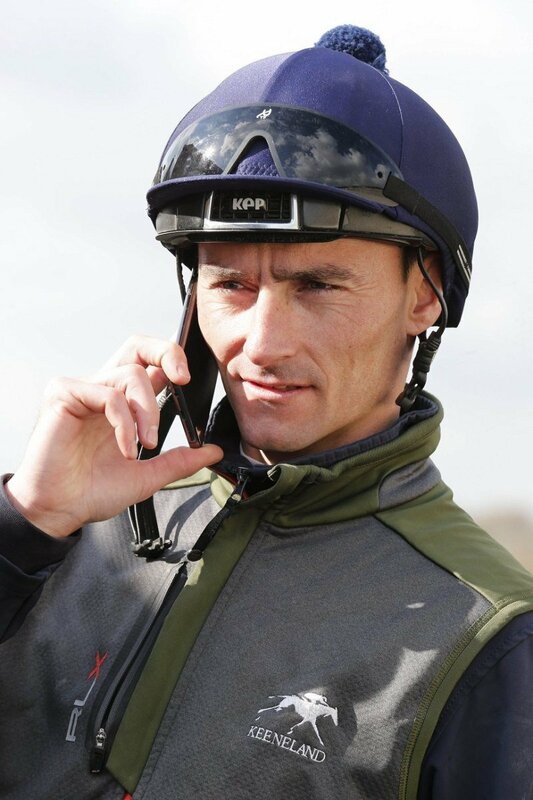 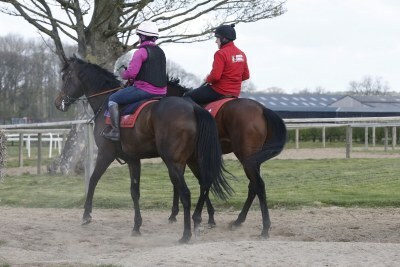 Our visit to David’s stables proved really popular and we’ve already had some wonderful feedback from owners. 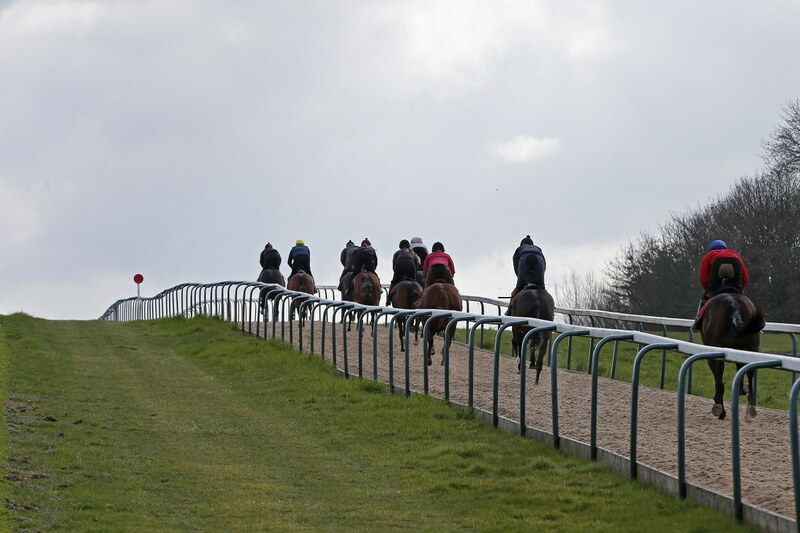 Of course, the real action is on the racecourse and with Spiorad and Watchable due to be in action next week, there isn’t long to wait!